EquinePlus have teamed up with Olympic, World and European eventer Mary King who together we have designed and launched an exclusive range of show jumps. Have a look at our fantastically unique Mary King range here at EquinePlus and see all the various products we have to offer. 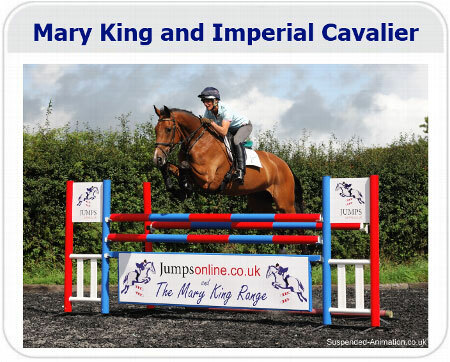 The Mary King range has something for everyone and for all abilities from our Mary King full jumps to Mary king courses we have made suitable Mary King Jumps for all to enjoy. We guarantee excellent quality products that have a long lasting life. 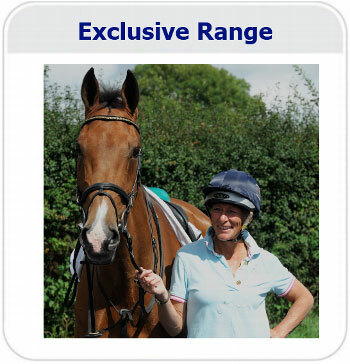 So take a look at our Mary King inspired jumping range and find an exclusive course today. Click on the button below to view Mary's range. Mary has designed the jumps and will also be providing some tips on course designs and training techniques. It’s been fantastic working on the designs with the EquinePlus team and I am pleased that we have developed a range of high quality, durable jumps at affordable prices. I’ve designed some full size jump courses aimed at clubs and venues who hold regular events supplied with wooden top poles to confirm to FEI standards right down to a fun children’s and beginners range. The jumps have a fantastic range of brightly coloured, unique graphics which go on wings, planks and fillers offering a real challenge to you and your horses. I hope you enjoy the jumps and good luck with your equine activities!